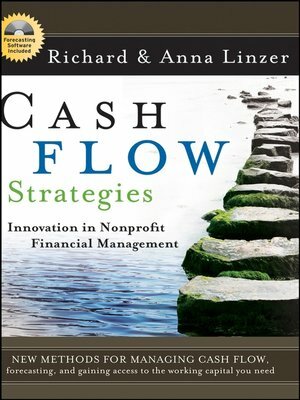 Cash Flow Strategies offers nonprofit organizations an innovative approach to financial management. In this companion to The Cash Flow Solution, the authors, Richard and Anna Linzer, reveal their approach—which emphasizes the use of cash flow concepts that enable an organization to have the working capital it needs. The book is filled with illustrative examples and includes the tools and templates needed to make these concepts immediately applicable to any institution. Anna Linzer is an award-winning poet and writer who, with Richard, leads retreats and sessions on nonprofit financial management. Her book of fiction, Ghost Dancing, received the American Book Award in 1999.